EDI Gateway offers complete EDI solutions to manufacturers working in the retail industry across North America. Planning an EDI implementation across a vendor community can be a challenging task and a complicated project to manage. For an implementation to be truly successful, the organization’s processes need to be examined and evaluated. Successful implementations involve most processes of the company, and can result in substantial savings in the supply chain process, such as reduction in inventory levels, and warehousing, improved cash flows, etc. This free e-book addresses the main challenges associates with the various steps required for a successful EDI implementation. From EDI transactions, to change management, to communication with stakeholders, this free e-book will prove to be informative and helpful to your EDI implementation process. This process is a 9 step investigation of the business processes within the organization to determine all areas that will be impacted by the EDI initiative. 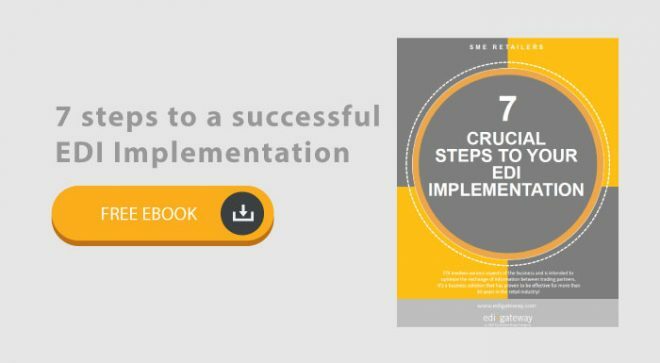 Download ”7 crucial steps to your EDI Implementation” e-book to get a free explanatory chart. 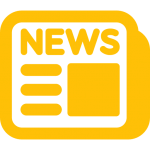 The advantages of an EDI system may vary among companies. To distinguish the area of your company in which an EDI system can make the most improvement, you must perform an EDI survey of your actual organization’s supply chain actors. Your company will discover the most effective profits in areas where an EDI system is normally supported by many, or few, high volume vendors. Managing every type of business document is dependent on human and machine interactions; this should be the starting point to focus on in order to select efficiencies that may be maximized with an EDI system. The most significant development task that EDI systems typically deal with is EDI integration with current corporate applications. For the EDI implementation,you must begin with data analysis with an end result in mind. For example, if the initial scheduled transaction to launch is the outbound purchase order (PO), you must start with analysis of the order processing system’s requirements.